Lady Molly & the Snapper is a delightful YA adventure that is both entertaining and educational. 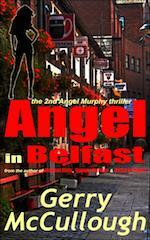 The characters are well crafted and loveable. 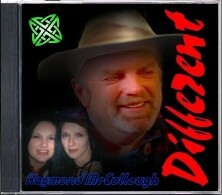 Jik and his sister, Nora, are fed up of being left alone by their father while he drinks his troubles away at the pub. They understand that he’s mourning the death of their mother, and vow to find a way of boosting his self-esteem in the hope that he will stop boozing his life away. The answer comes in the shape of The Snapper who helps them go back in time in search of a precious family heirloom. 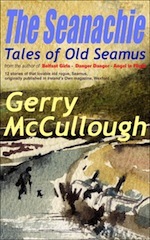 Their adventures on the high seas brings them face to face with the famous Irish characters that have populated their family stories, and the sufferings endured by the victims of the terrible potato famine of Ireland. This story goes beyond the exciting adventures of two children aboard an ancient ship in the tumultuous seas – it presents the loneliness of children dealing with the death of a parent, and the emotional damage caused by parental neglect. A great read for parents as well as children alike. My favourite part of the book? (quote) "Ha! What have we here? Stowaways, by my oath! Speak! Who are you, and what do you want with me, aboard White Lady?" This is taken from the prologue, and it is exquisitely well written. The language is crisp and evocative. From my own pop culture, I "hear" these words spoken by a salty sea captain. I "see" Nora and Jik, two frightened children, eyes wide open in mind-blowing terror, unimaginable horror, paralysing fear, and protective madness, intermingled with an intensely incredible, time-stopping - frozen - vivid moment. For me, there was "no way out." I must read this book. So, I read this book from cover to cover, unable to put it down for a moment. 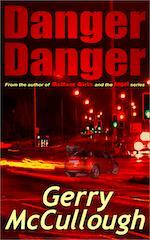 I recommend it to readers of all ages. You are sure to enjoy it as much as I did. Author of "Pecha Kucha" & "English Language Teaching: Changing The Classroom"
A spellbinder. 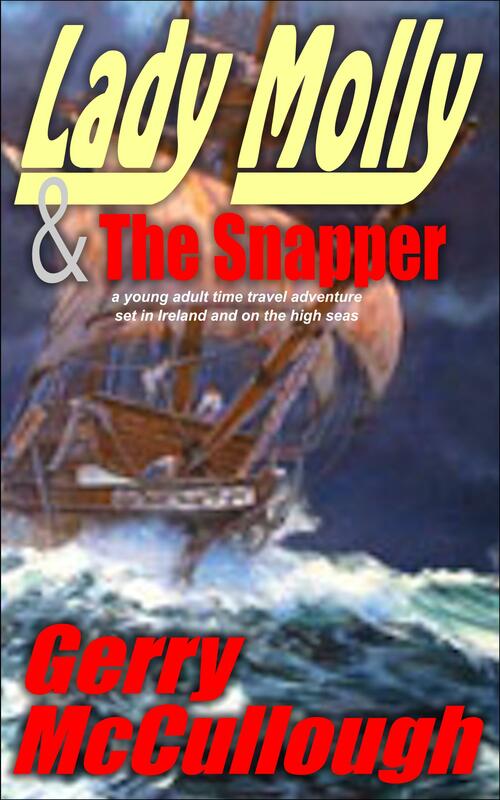 A young adult fantasy and adventure book that tells the story of teenagers Jik and Nora who time travel on the Lady Molly boat, meeting and having adventures with major historical figures, most notably Cuchulain, lady pirate Grania, Maewyn (St. Patrick). They are bored and angry because their father Da drinks, the children’s mother, his wife has died and has no time for them. 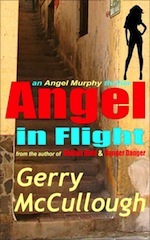 Well written, the story set in modern day Dublin flows in authentic Irish lilt and dialogue, captures the imagination. The plots weave and twist with adventures, fantasy rescues, a story of bullying, Nora's love interest Sean, Nora’s conflict with Bridie, the father’s love interest and the strange disappearance of Nora’s diary. 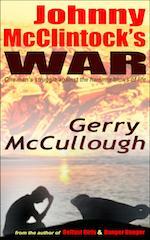 A rollicking tale with a happy ending. This children’s tale of high adventure is a lovely warm story. Filled with plenty of action it still carries the subtle messages of friendship and the importance of family relationships. 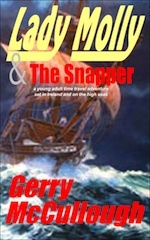 I loved how Jip and Nora got caught up in adventure after adventure going back in time to deal with a variety of famous Irish icons, like the female pirate Grania, in their quest to discover why their ancestor was never credited for inventing the radar used by boats to manoeuvre safely through dangerous waters. Their relationships with fellow crew men, slowly seeped into their own time as they made some interesting discoveries about new and old friends. The snapper guided them on their journeys, ensuring they kept to a strict code of ethics to further their cause. Including consequences if they were led off the moral path. I’m sure kids and young adults alike would enjoy Lady Molly. It’s written in excellent prose to suit the intended audience and has enough antics to keep any young mind turning the page. We all love a good family tale and this is one that I would highly recommend. 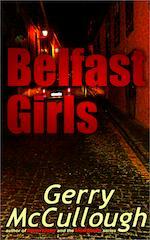 Young Adult fiction is a new departure for Gerry McCullough - but I expect it will be a very successful one. This time travel adventure has just about everything - involving two kids fed up with their Dad, who has been there for them less and less since their Mum died. Nora seeks help, but it comes in an unexpected form. As she and Jik undertake their quest, there are new friends to meet, challenges to face, lessons to learn and enemies to overcome. They are aided by The Snapper - a colourful character, though an unlikely kind of saint. 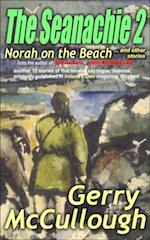 The story magically weaves some of Ireland’s nautical history with modern teenage life in the bustling City of Dublin. The kids travel from a world of mobile phones and internet cafes to one of swords and daggers, where honour is valued, technology is non-existent and life is often perilous. This book involves a learning experience for the children on several levels - family relationships, friendship, history, morals - and for the adults as well. Eventually, they end up a much wiser and more united family. Very satisfying!